Let’s consider the sun. It’s huge, right? So it should be a soft light. But, even though it’s 865,000 miles wide, you can completely cover it with your thumb held out at arm’s length. So, in relation to us on Earth, it’s very small, and that means it’s a hard light. The softer a light is, the harder it is to distinguish the edges of shadows. Just try and find your shadow on a cloudy day. A cloudy sky still lets sunlight through, but it’s not as bright and it’s not as hard. The clouds are modifying the sunlight, and anything you put in front of any kind of light to shape it or soften it for photography is called a modifier. Soft light casts a soft-edged shadow, and soft shadows make details less visible, which means details on your subject’s face will also be less visible. Are you starting to see why soft light is great for portraits? Wrinkles and blemishes have less impact with soft light. The sun shining through clouds is dispersed from being a small light into a big soft light. Windows without direct sunlight are lit by the sky, and that’s a big light. A big softbox or umbrella for your flash makes the small flash bulb into a big light source, which is soft. A white semi truck trailer with the sun reflecting off it is a big soft light. Wherever you are, find a big soft light for a guaranteed flattering light. Even when I do photograph a model with terrific makeup, I still love a soft light. You can see that there’s a shadow under her chin and under her nose, but you can’t point to the exact spot where those shadows begin. This is a soft light. That’s why you use reflectors and diffusers, to make small lights bigger. (I’ll have more on these tools coming up soon) I’ve also got loads of examples and demonstrations about this in my basic portrait class, which is free for a limited time. Small lights make hard shadows, and that can be beautiful–just look at a fashion magazine and you’ll see ads with hard light. But if you’re like me, your subjects aren’t super models with makeup artists in tow, so I recommend using a soft light to help minimize skin detail and make flattering portraits no matter who your subjects are. 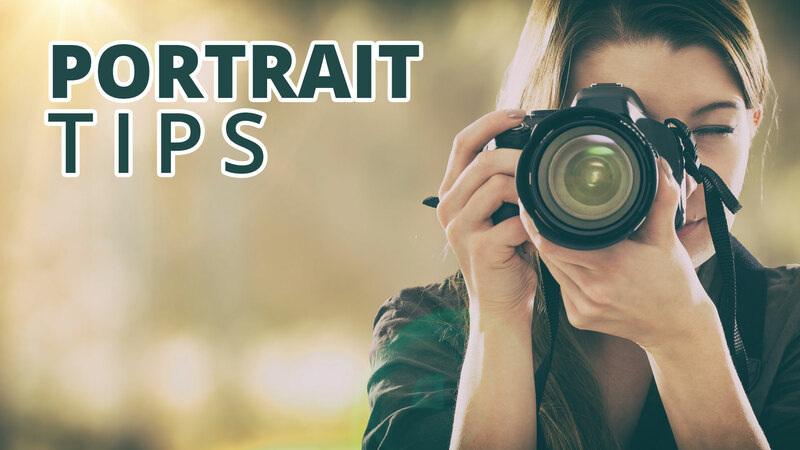 Portrait Tips come out each week, and you can see them all right here.